Our range of products include cts600b truss screed and cts600a truss screed. Our company is a quality approved manufacturer and exporter for truss screed. These truss screeds are ideal for small projects to save on labor and time. The paving application can be done for small village roads as well as big highway projects. Don’t forget to increase the power of the engine as the length of the paver increases. 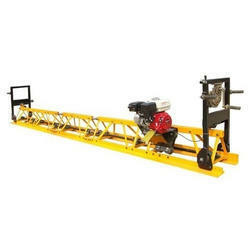 The sections can be made possible as per the customer requirements in one or two-meter sections. We are a quality approved manufacturer and exporter of Truss Screed. These truss screeds are ideal for small projects to save on labor and time. The paving application can be done for small village roads as well as big highway projects.